Looking for a unique activity in Bali? 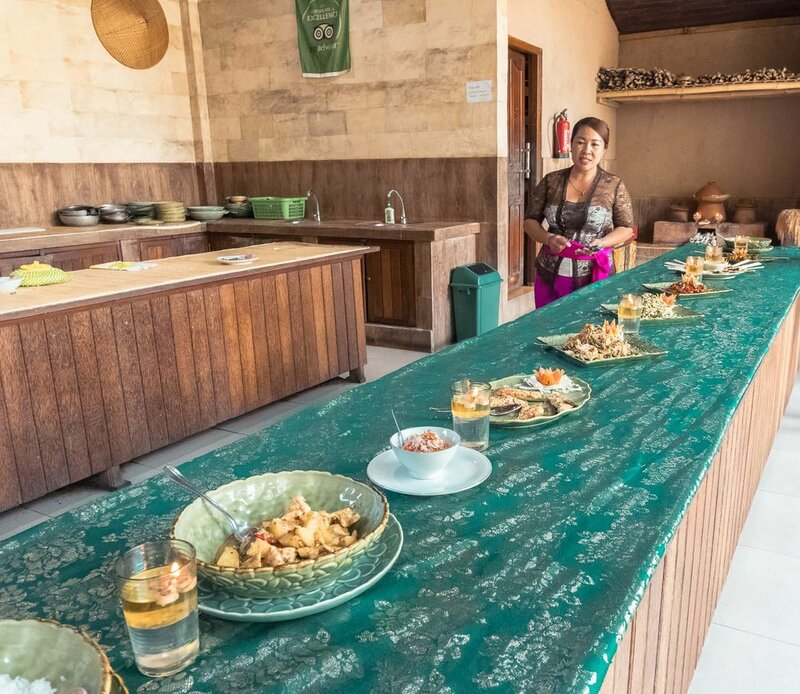 So, taking a cooking class might be a great option for you; because the complete experience is not just about getting your hands dirty, but also about getting to know the ingredients used in the local cuisine, visiting an authentic Balinese compound and learning about the rice fields. With this experience, you will spend a few hours immersing yourself in Balinese culture, and will have a taste of the typical dishes of the island; so, what do you think? 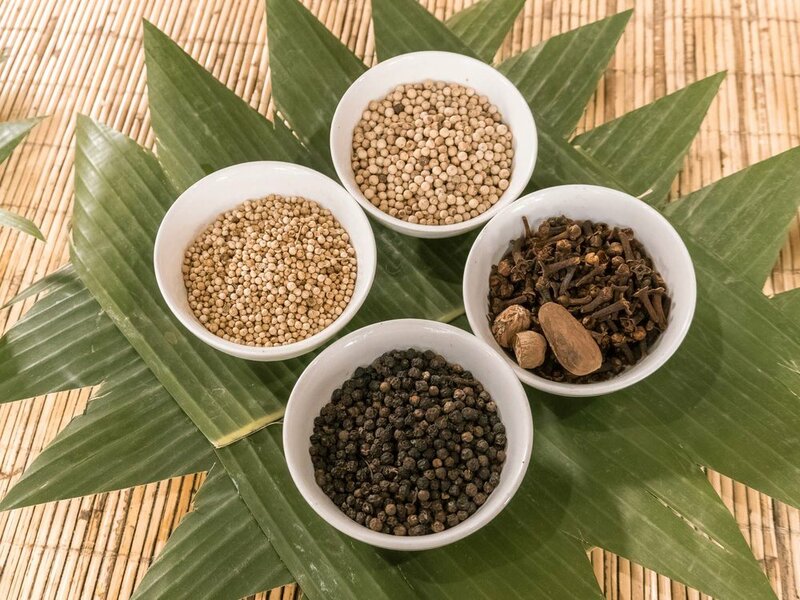 Balinese cuisine has an abundance of ingredients and is rich in spices. The basis of it is, as in all of Indonesia, rice - item consumed several times a day and present in various dishes of the country. 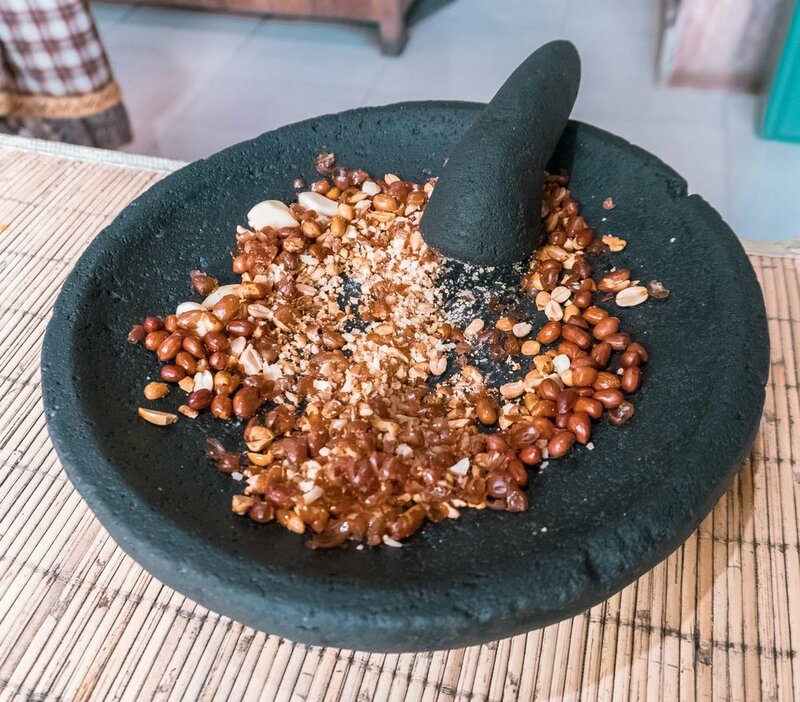 There are several places offering cooking classes in Bali, including hotels, but we chose Paon Bali, which follows international standards, praising hygiene and moderate use of spices in case anyone in the group has any allergies or intolerance. Everything in the class - before, during and after - exceeded our expectations. The complete experience begins with the driver of Paon picking you up at your hotel (only hotels located in Ubud) and taking you to the Ubud Market to get to know the ingredients that will be used later on. Here the driver will take you to the stands selling Balinese knives, that will be used throughout the lesson, and explain each ingredient and spice that will be used to prepare the dishes, allowing you to buy and take some back home. In the market we discovered ingredients we had not known yet - like the 4 different types of ginger - and we saw the famous Balinese offerings being prepared using native flowers and banana leaves. Note: seeing how the food is displayed and handled in the market can be a bit of a surprise, but know that Paon does not buy the ingredients here for the class/tourists, but instead buys organic and quality ingredients from another local supplier. Then the driver will stop by a rice field to answer questions about the planting and harvesting. There, if you are interested, you can receive a real lesson in Balinese agriculture, with rich explanations about planting, irrigation system and rice harvesting. After all this learning, it's time to finally go to the "school" where the class will be held. Arriving there you will see a traditional compound of a Balinese family, which is composed of several houses, pavilions and, of course, a temple. While we waited for the class to begin, we received tea and coffee, while taking a look at the rich details of Balinese architecture within the compound. Finally, the smiling and captivating Puspa arrived, the Master Chef of Bali. She showed and explained to us all the ingredients we would use and gave us a summary of what we were going to do. All dishes are prepared individually (using traditional techniques) and our group - composed of 4 people - took turns on cutting, chopping, slicing and macerating, always changing places with each other for everyone to learn / do everything. We ended up making 9 recipes, including a dessert, and all the dishes were fairly typical, with ingredients such as chicken, mushrooms, tofu, tempeh, pepper and coconut milk. The presentation of the freshly cooked delicacies in green ceramic dishes gave an even more charming touch to the food and, at the end, we sat down to savor all the dishes that came from our hard work. The cooking class is in the Ubud area and is in English. The entire program lasts about 5 hours and must be booked in advance at Paon Bali's own website. The classes cost 350,000 IDR per person and can be in the morning or afternoon (in the afternoon there is no visit to the market). At the end all students receive a booklet with the recipes of the dishes prepared. Ps: it is not necessary to have any cooking experience to participate in the class, and there is also the option to prepare vegetarian dishes.